So there I am, walking home from work in the baking summer sun thinking what games to play when I get in, when a Ferrari F50 passes by me. It then hit me. Outrun. One of my favourite games of all time. 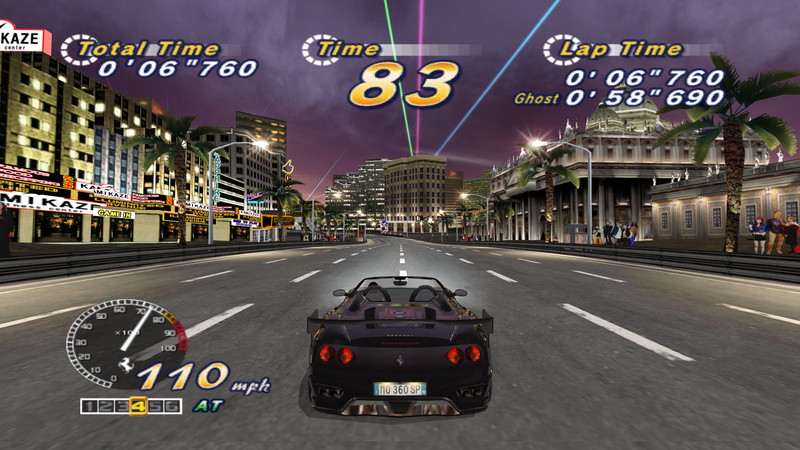 More specifically, the home port of Outrun: Outrun 2006: Coast 2 Coast. To me, besides the arcade (because there isn’t any near me, and if there are, they don’t have the Outrun Arcade cabinet), the best way to play Outrun while recreating that arcade feeling is via these home ports. I had the PS2 version originally but then branched out to the PSP and PC versions. 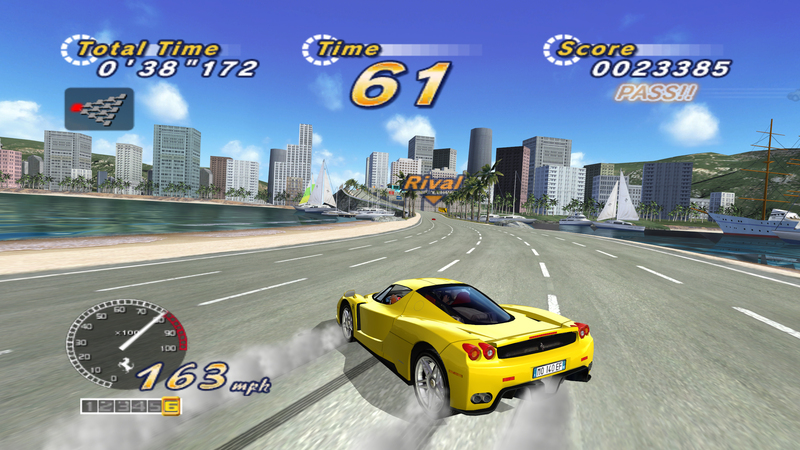 Now these aren’t just some lazy ports, but faithfully recreate all of the ‘later’ Outruns (2 and its Special edition – known as SP) tracks and music, as well as the original Outrun but with a new game engine and modern graphics. Even on controller it just felt right. Controls were tight, and responsive, even on a gamepad, and on a steering wheel is how I play now (both PS2 and PC, but mostly PC thanks to mods) and the recreation of that arcade feel at home (along with nostalgia) made me feel like a kid again. Outrun is up there is with the most influential arcade games of all time. Pop that in google and you’ll see it on list after list. Maybe not at the top but mostly nestled in somewhere around the middle on most top 100’s. Does it mean it’s the most influential arcade racer ever? Of course not, but it certainly left a mark on me that even now, at 27 years old, just makes me want to fire it up and just play the day away. 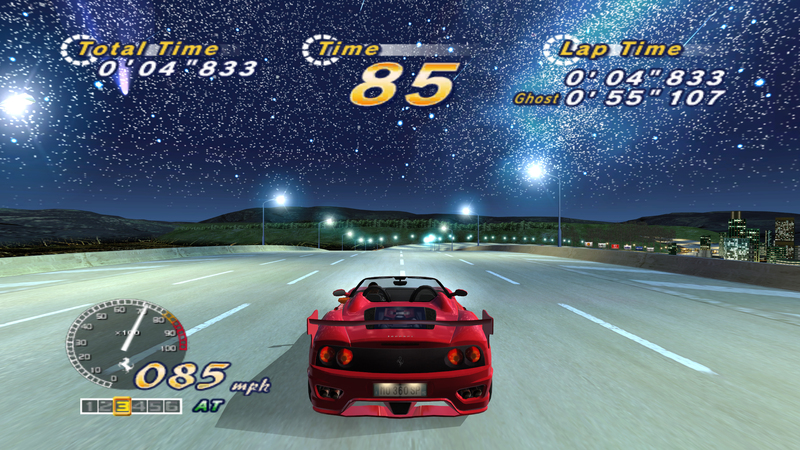 While there was a huge list of Ferrari’s available, I stuck with the Ferrari F50 and while it was one of the cars considered harder to control and master, it was the car to me that most screamed Outrun. Granted, I’m sure the majority of you that read this article all have your favourite iconic Outrun car and that’s fine, but whenever I see one – which I guess along with it being quite rare to find in the Surrey suburbs – I instantly hear the revving engine, the announcer countdown and then the beginning bars of Passing Breeze which just take me back to being in an arcade, in a Ferrari getting in the zone, noise all around me and through the speakers in the headrest of the cabinet and then the fact of being at home, playing it with the sounds pumped solely into my ear canal, a smile on my face that takes ages to be removed. It’s one of the many arcade games that had a home port, but one that did it right in so many ways and contains memory after memory for me. Long may that continue. Even at 27 years old.